Nazaré is a small, well known town situated 120 km to the north of Lisbon on the Atlantic Ocean. The Tradewinds is acondominium 5 km from Nazaré with breathtaking views from upon a hill. This place has a special energy due to the proximity of the ocean and the surrounding nature. The Yoga- and Meditation lessons are given by the pool, on the beach or inside, depending on the weather. There will be enough time left to enjoy the beaches, or visit the surrounding towns and their impressive monasteries and other inspiring places. Away from tourist crowds with authentic people, it’s an amazing experience to find balance in your life and to feel at home in your body. recommended to start this journey with a complete open mind. You will have an opportunity to learn how to manage your energy, feed your soul, connect with your higher self and personalize “Self Care” plans for daily practice. We attach great importance to a friendly atmosphere, but every participant is free to choose the degree of privacy they need in the moment, thanks to the many different areas in and around the house, like the garden, the verandas, the swimming pools or the barbeque space. There is no transport available at the property; we can arrange it for you upon request. The beach is at 20 min. by foot or 5 min. by car. We organize a meeting with all the participant before the retreat to get to know each other and to arrange practical details. Viviane is your host and vegetarian cook. If you have intolerances please mention on beforehand. 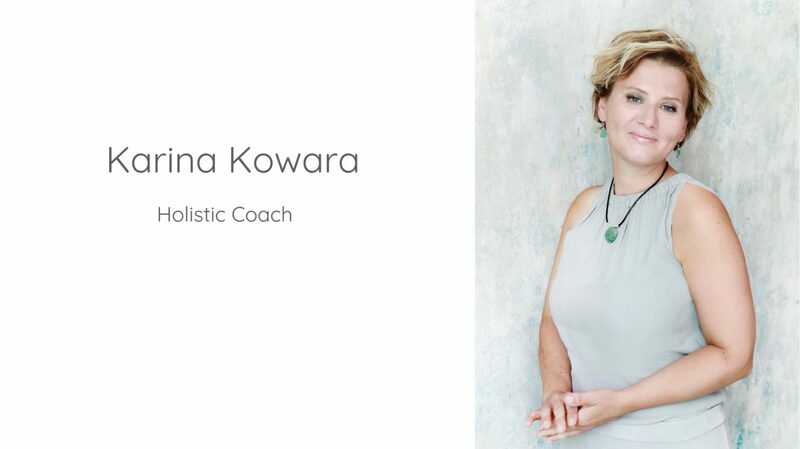 Karina is your inspirational coach and available for individual talks. She has met Walter in 2017 and he became her coach. He helped her to discover her meaning in life and now she is following her dream to be a Holistic Coach. He is supporting her during this change and became her holistic guide.